The artist Sam Durant has issued a statement regretting his "miscalculation" in failing to foresee the pain that his sculpture, "Scaffold," might provoke in Minnesota. A similar work apparently caused no such uproar in Europe. So why did "Scaffold" touch so raw a nerve when it was installed in the Minneapolis Sculpture Garden? 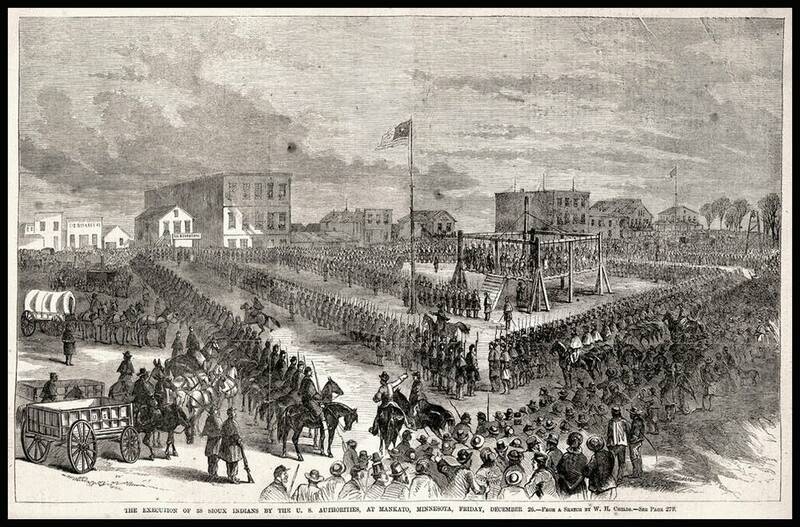 Minneapolis is a scant 80 miles from Mankato, Minn., the scene of the biggest mass execution in U.S. history. On the day after Christmas in 1862, authorities hanged 38 Dakota men for their roles in the brief U.S.-Dakota war that had occurred in southwestern Minnesota that August and September. A poor harvest, broken promises and delayed treaty payments, as well as deliberate withholding of food by an Indian agent, were among the factors that led to the outbreak of hostilities. 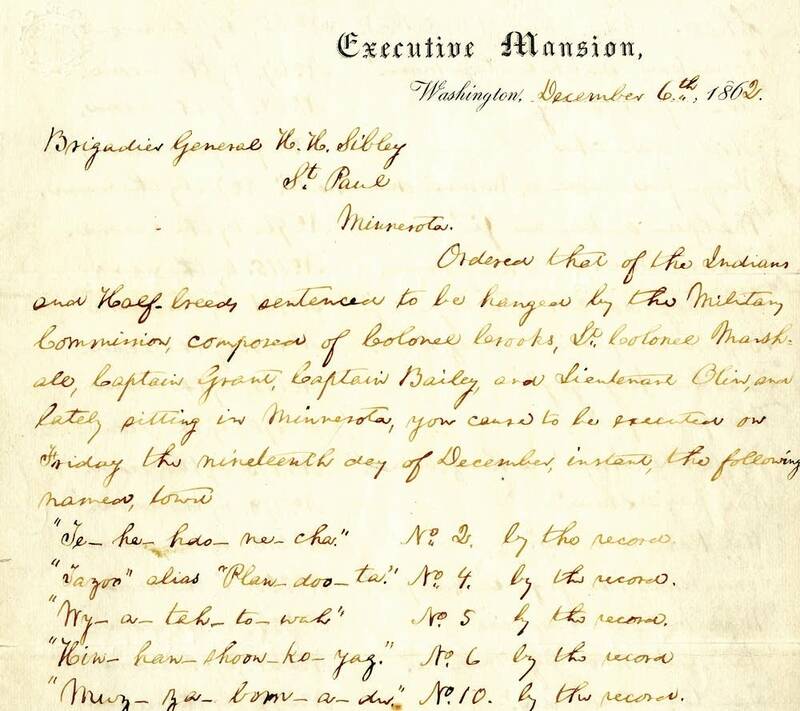 The Dakota surrender was followed by the Mankato executions, mass internment, deaths from disease and starvation and the exile of thousands from Minnesota. The pain of the war's aftermath lingers today. The Dakota war wasn't news to Durant, who designed an echo of the Mankato gallows into his sculpture. His piece also contained references to other famous hangings: Saddam Hussein, executed in Iraq in 2006; the abolitionist fighter John Brown, 1859; the Lincoln conspirators, 1865, and others. All together, "Scaffold" incorporated elements of seven different gallows. Yet at a glance, the distinctive Mankato structure stands out. A correspondent for the New York Times described the scaffold used that day as "a perfect square," "constructed in a very simple yet most ingenious manner. It was erected upon the main street, directly opposite the jail, and between it and the river." The Times correspondent took the liberty of noting that he hoped never to see another such event. The war had taken the lives of more than 600 white people and as many as 100 Dakota. A military tribunal sentenced 303 Dakota men to death, and their cases were forwarded to President Abraham Lincoln for his approval. The president, "Anxious to not act with so much clemency as to encourage another outbreak on the one hand, nor with so much severity as to be real cruelty on the other," as he said later, settled on 39 cases that in his view merited death. One of the men was saved from the gallows at the last minute, when doubts were raised about the credibility of a witness. Spectators jammed the square in Mankato, held back by a line of U.S. soldiers. The execution took place at 10 a.m. The scaffold was rigged so that the blow of an ax on a single rope would send all the men to their deaths at once. "It was an awful sight to behold," wrote the Times correspondent. "Thirty-eight human beings suspended in the air, on the bank of the beautiful Minnesota; above, the smiling, clear, blue sky; beneath and around, the silent thousands, hushed to a deathly silence by the chilling scene before them, while the bayonets bristling in the sunlight added to the importance of the occasion." The Walker's executive director, Olga Viso, said over the weekend that Durant was open to "many outcomes including the removal of the sculpture." She quoted him as saying, "It's just wood and metal — nothing compared to the lives and histories of the Dakota people." 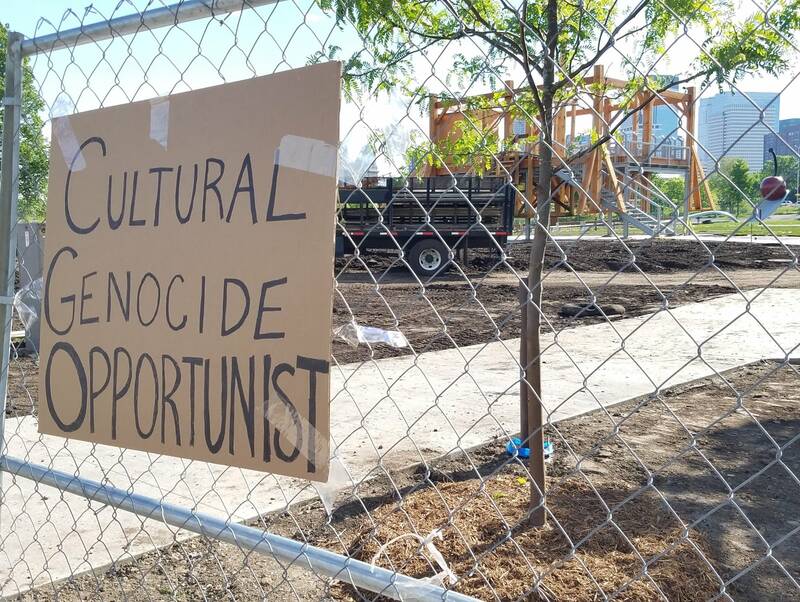 In his own statement, the artist explained that he created the piece "as a learning space for people like me, white people who have not suffered the effects of a white supremacist society and who may not consciously know that it exists." If "Scaffold" is removed, the learning space may offer some lessons different from those Durant intended.